The new year represents many things to many people! What will you make of it? Is it a time to make a “fresh start” in certain areas of your life? 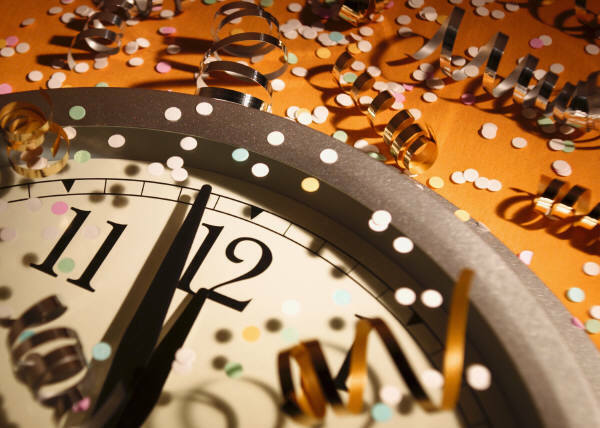 A time to reflect on the blessings you enjoyed last year and those you wish to bestow this year? A time of non-stop football bowl games? A time to add a new dimension to your business? A renewed hope for a better future? A time to focus on the commitments you choose to make a priority this year? A time to make a difference? Or just the turning of the calendar! Whatever meaning the New Year invokes for you, please know that at Maximum One, we wish you a year full of blessings, happiness, health, prosperity, harmony, gratitude, adventure, peace, ease and love! Have you ever wondered how Santa knows who is naughty & who is nice? The “Elf on a Shelf” helps Santa with his Christmas magic! Those of you with children certainly know about the Elf on the Shelf! You show your children this little guy & tell them that he is Santa’s helper to note who is nice & naughty. The children only notice that every day leading up to Christmas, their little elf-spy is in a new location in the house watching the kids & reporting back to Santa! 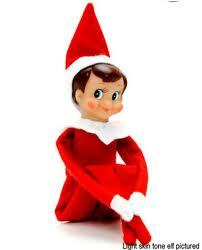 If YOU had an “Elf on a Shelf” watching YOU work in and on your business, on which of Santa’s lists would YOU be!??!?! If Santa were making a list of where you rate on each of these categories, would you be on the “nice” list or “naughty” list? Be your own “Elf on a Shelf” and improve your business! Now is also the time of year to make your many lists for your real estate business to prepare to grow next year! Using lists are a way to keep you focused on what is important in your business and personal life. Lists can guide your behavior to get the success you want! What really makes you happy in life? What are you most confident about in yourself? Your Business? What can you do to accomplish your goals in each area of business? Life? Where did your Buyers come from in 2012? Where did your Sellers come from in 2012? What percentage of your business in 2012 came from Buyers/Sellers/Rentals? Where are you spending money on your business that is not producing any return on investment? How much time/money did you invest in your education? How many hours did you work? Did you spend with your family & friends? What are your challenges & solutions for generating business? What are your challenges & solutions for after-the-sale servicing? How many prospects before you get a lead? How many leads before you get an appointment? How many appointments before you get a client? How many clients before you get a commission check? Please see the Business Planning Workshop for more lists to make designed to prosper your business in 2013. 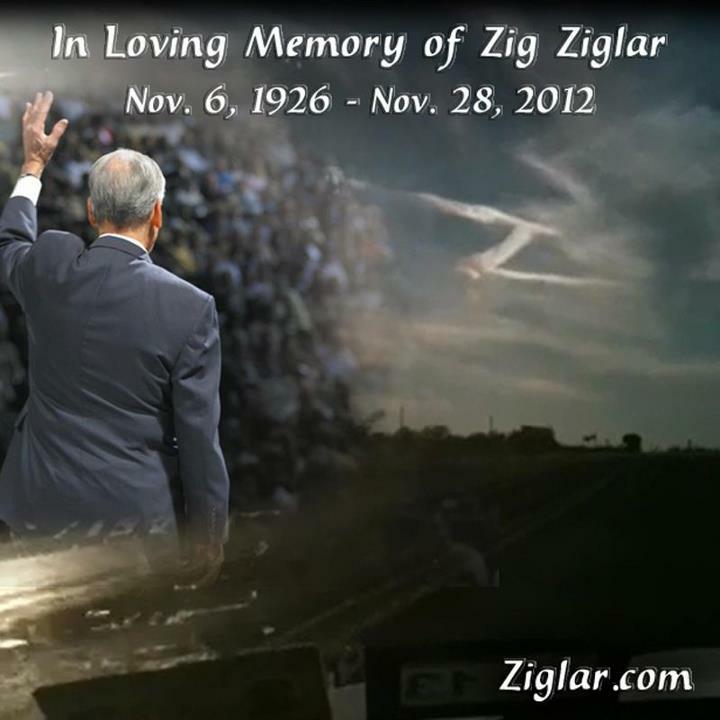 Arguably the most influential motivational speaker, Zig Ziglar passed away last week at age 86. He was known for his seminars, which grew into large gatherings held in packed arenas. Ziglar wrote more than two dozen books on salesmanship and motivation over five decades. He spread his message of positive attitude, motivation and success through stories punctuated with short quotes that became legendary among his followers.